OTTAWA, ON and HALIFAX, NS--(Marketwired - March 03, 2016) - To celebrate World Wildlife Day, March 3, the Canadian Wildlife Federation (CWF) and the Canadian Sea Turtle Network (CSTN) are announcing the winner of this year's edition of the Great Canadian Turtle Race: Agile Abigail. The race launched on November 3, 2015, with four endangered leatherback sea turtle contenders: Agile Abigail, Rev it Bev, Cruisin' Christie and Sharon la petite démone. The winner of the race, Agile Abigail, traveled the furthest distance by World Wildlife Day. She swam approximately 5,000 kilometres to waters off Florida. "Abigail seems to be feeding off the coast of Florida now," says Kathleen Martin, Executive Director of the Canadian Sea Turtle Network. "Florida is her home nesting beach. And although leatherbacks often surprise us, our guess is that she will start her trek back up to Canadian waters in June. In the meantime our colleagues on the nesting beach in Florida know Abigail well and will be keeping an eye out for her in case she nests this year." As both Canadian and international animals, leatherback sea turtles are a great reminder of our shared wildlife heritage, something the Great Canadian Turtle Race celebrates. "The opportunity to follow leatherbacks to their southern grounds online using satellite technology gives us a unique glimpse into a large part of our world that is often far beyond our understanding, but which we can affect in large and harmful ways," says Sean Brillant, Manager of Marine Programs at the Canadian Wildlife Federation. 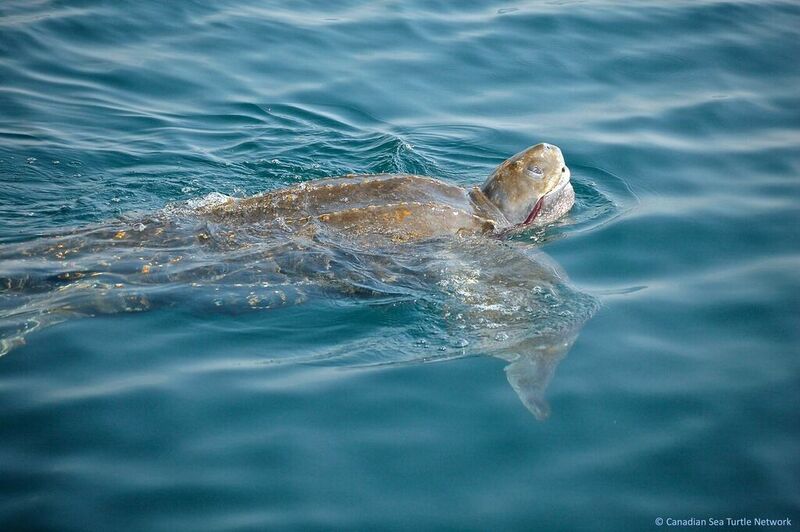 "While we do our utmost in Canada to take great care of our leatherbacks during the summer and early fall when they are present in Canadian waters, we know that soon enough they will be drawn to their southern nesting and overwintering habitat. To ensure they are protected, we have to share the duty with many other countries." Canadians from across the country helped give racing names to the four new race participants and picked their favourite to be the winner. Over the course of the race, Turtle Race fans tracked the progress of their chosen contender through an interactive on-line map (turtlerace.ca). Students also got involved through popular webinars for schools and a special online learning environment for teachers and students alike to learn about this migratory animal. 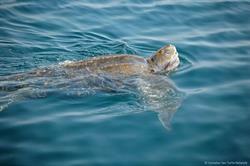 Canadian Wildlife Federation and Canadian Sea Turtle Network staff will continue to track these creatures. Learn more about their whereabouts and wellbeing at turtlerace.ca.